BEST FIGHTER FOR CANADA: WELL... THIS IS AWKWARD... TURKEY AND THE F-35. WELL... THIS IS AWKWARD... TURKEY AND THE F-35. Over the last few years, the Republic of Turkey has presented a bit of conundrum to its NATO allies. Last year, a controversial referendum replaced Turkey's parliamentary government to a presidential system. This greatly increased Turkish president Recap Erdogan's power within the country and paves the way for a full-on dictatorship. Unlike other presidential systems, Turkey lacks the checks and balances to reign in potential abuse. Preceding this was an attempted coup attempt that seems quite suspicious in retrospect. Turkey has also been less-than-helpful when it comes to the conflict in Syria. From inconveniences (like denying the US use of an airbase) too outright antagonism (sending its own troops in to confront US-backed Kurds). To make matters worse, Turkish forces downed a Russian Su-24 when it came uncomfortably close (but not into) Syrian air space. Needless to say, a NATO shooting down a Russian aircraft made for some tense diplomacy. The Republic of Turkey's actions of late have led for calls for its expulsion from NATO. Its relations with Greece (another NATO member) are so bad it it seen as precursor to a war. As if all this was not enough, Turkey has also antagonized its fellow members further by choosing the Russian-made S-400 missile defense system over the US-made Patriot. Not only does this support a potential adversary's defense industry, but the S-400 is incompatible with other NATO equipment. Despite Turkey closely approaching the status of a "rogue nation", it is deeply entrenched into the Joint Strike fighter program. Like Canada, Turkey is considered a "Level 3" Industrial Partner. Unlike Canada, Turkey is committed to 100 (maybe more) units. Not only is Turkey committed to purchasing the F-35, but it is heavily involved in the construction of the fighter. Turkish Aerospace Industries (TAI) in particular is responsible for center fuselage assembly and other major hardware. Turkey has even been approved to build its own F135 engines. Of course, there is the small matter of linking up the F-35's highly sensitive ALIS with a Russian-linked S-400 missile system. This could leave the JSF vulnerable to cyber attacks. All this has put Lockheed Martin and the Joint Program Office in an awkward position. 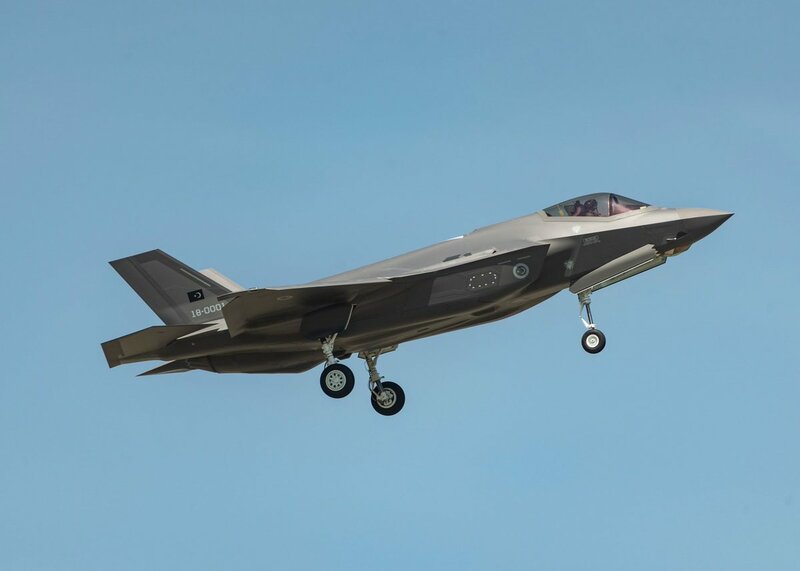 Due to the JSF's dependence on economies-of-scale, Turkey's involvement in the F-35 program is needed to help keep sales up and costs down. That participation is now very much in doubt thanks to a bi-partison bill that aims to kick Turkey out of the F-35 program. While Turkey is still on track to receive its first F-35 later this month, that jet likely would not see Turkish soil for quite some time. If Turkey is ultimately denied the F-35, there could be a slew of legal issues. It has invested hundreds of millions into the program already and would not likely walk away with nothing to show for that. Turkey would also likely turn elsewhere for its new fighters; most likely the same vendor it chose for its S-400. Turkey could be a prime candidate for the Su-57 (formerly PAK FA). 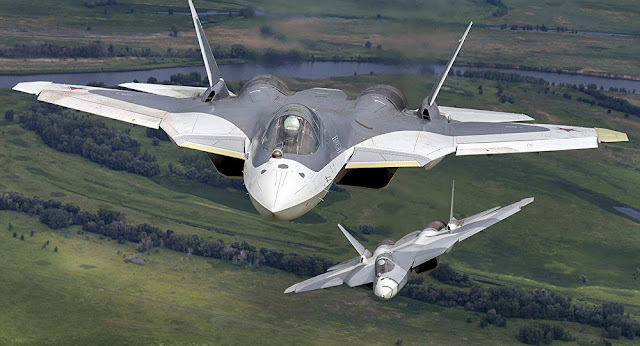 While some have dismissed the Su-57 because it lacks some of the bleeding-edge tech utilized by the F-35, it is still very much a serious fighter aircraft. Unlike the F-22 and F-35, the Su-57 is not completely devoted to stealth. Instead, the Su-57 takes more of a "holistic" approach, combining sophisticated sensors, stealthiness, and blistering performance. Given the reported capabilities of both the S-400 and the Su-57, one has to wonder if denying Turkey the F-35 could end up being a phyrric victory. Turkey ends up with an excellent fighter and ground-based missile system, while the USA gets a heap of legal trouble and a more expensive F-35. The alternative is to allow the sale and give NATO's most advanced fighter to a belligerent dictator who will plug it in to Russia's missile defense database.